This blog is about more than the few individuals named herein. It’s about our justice system. Our courts are broken as another liberal judge releases yet another violent offender on bail to commit murder. Criminals laugh at courts as people die. It’s disgusting! 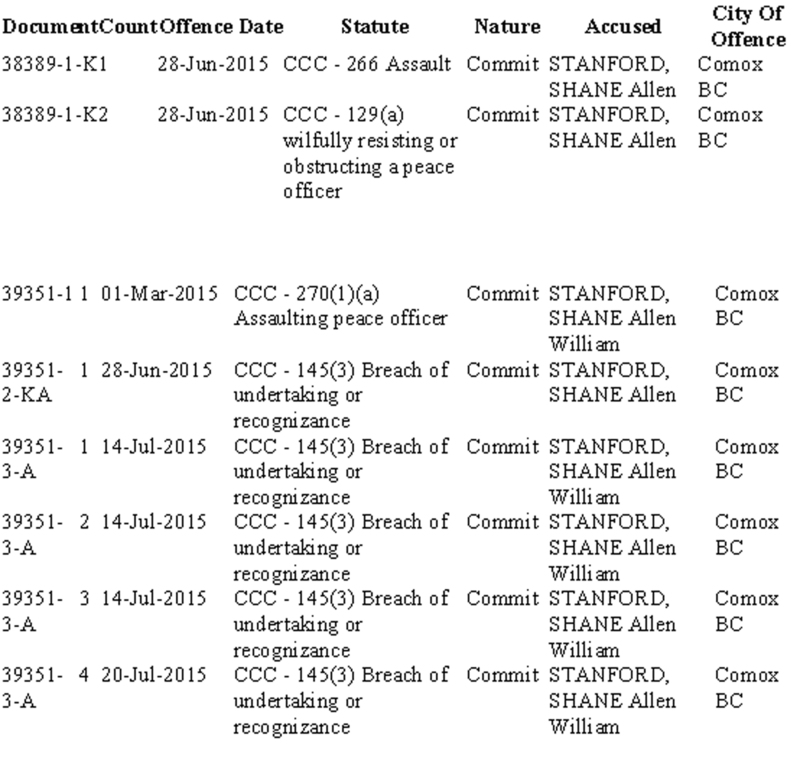 Forty-one year old Shane Stanford’s criminal record showed him to have a proven violent propensity, a proven disrespect for police, and an obvious lack of concern for court orders. Yet some liberal judge released him on bail and he is now charged with murdering twenty-three year old Kevin Burns. Why wouldn’t criminals laugh at the courts with those types of idiotic decisions? Shane Stanford’s criminal record is pictured below. It includes Assault, Assaulting a Peace Officer, Obstructing a Peace Officer, and two counts of breach of his previous bail conditions. Still, the courts set him free again. Look at the case of Khouri Green and see his criminal record. Judges kept releasing him over and over again until he was finally, and absolutely predictably so, charged with murder. 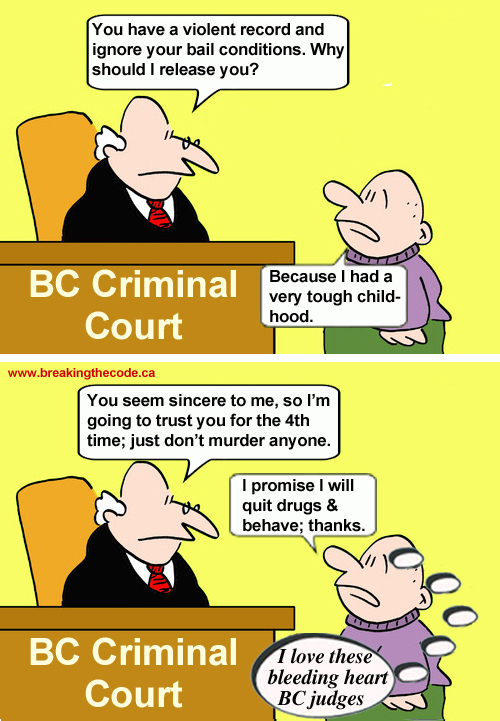 BC’s liberal judges regularly grant bail to drug dealers, gang members and multiple time offenders. 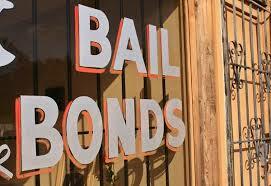 Bail is a privilege that may be extended to an accused as the accused awaits trial. 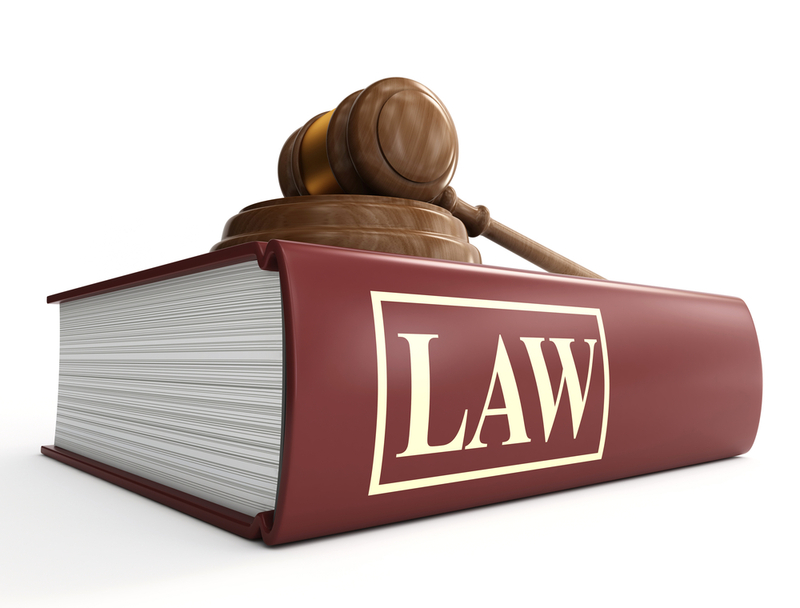 The basis in law for bail is that the accused has not yet been found guilty of any crime. Therefore, they should not be required to sacrifice their freedom. in order to protect the public. 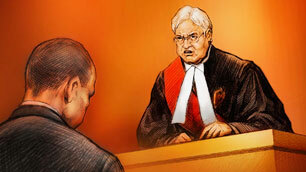 A judge is required to also assess the likelihood of conviction of the accused. If that likelihood is substantial, the judge might not grant bail under #1, above, if in the judge’s mind that likelihood might mean that the accused will not actually show up for court. This consideration is especially relied upon in cases in which the accused faces considerable time in jail, when and if found guilty. Still looking at #1, beyond that consideration, suffice it to say that past behavior is the best predictor of future behavior. So this decision as to whether or not the accused is likely to attend court can easily be made based on the track record of the accused. If no track record exists, then the person should probably be allowed bail based on “benefit of the doubt”. Of course that assumes the individual qualifies under the other two criteria. When you have a day or two we can spend that time discussing this component of the three part evaluation, depending on the crime. Perhaps we might even come to a conclusion. However, I do think we can all agree that granting bail to an accused murderer, or an accused armed robber, or those accused of any of a number of other violent and/or dangerous crimes would have an effect on how the public might assess its faith in the justice system. That being said, let’s focus our attention on the last of the three criteria. Let’s talk about the criterion of protecting the public. 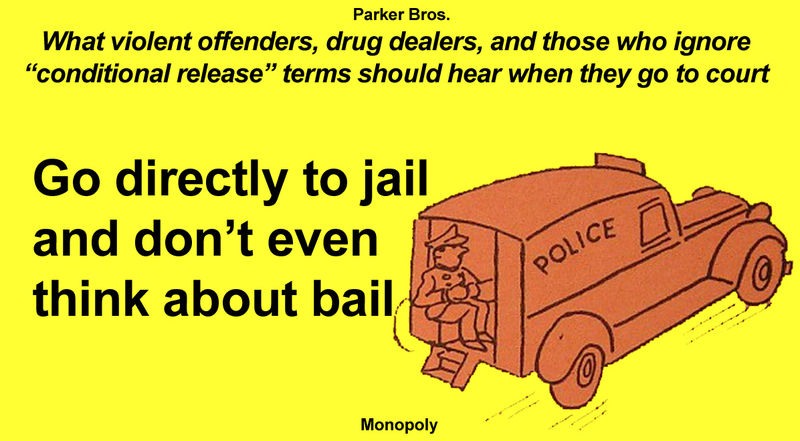 In making this determination, I think it is a “no brainer” that the various crimes discussed in the “public confidence” aspect of bail consideration, above, can readily be assumed to be crimes which would also cause the accused to be denied bail under the public risk category, as in general, those crimes are crimes which put people at risk. Remember, although the question of bail might arise because of a particular charge, the courts should decide bail with an eye toward the person’s entire circumstances and history and not looking solely at the currently charged offense(s). 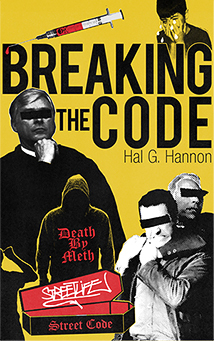 Is sending criminals to jail immediately more effective as a deterrent than allowing them to run free for a year or so as they await trial? What do you think? Is not “swift” justice the most effective form of justice? Is failure to discourage an action not tantamount to encouraging that action? Think about this for a minute. If you put a bag with a dozen cookies in it on the kitchen counter and don’t tell your kid that there will be consequences if he/she gets into the bag, how many cookies will be remaining as you reach in for your cookie twenty minutes later? I can’t even find an update on this case. Says he would be sentence January last year. How long did he get? I can not believe he got manslaughter and bail. For taking the life of a young man. The local system is terrible!! If you are talking about Prince, he was sentenced about eight years ago, did approximately seven years and is now out. You should type “Prince” into the search bar of my homepage for more information. Sadly, judges have immunity, but they will be judged at some point.